Diamonds are gorgeous, really, they are, but since we’ve been talking about gemstones so much lately, we figured it was high time we honored one of our biggest loves: opals (especially since opal hair, and rainbow everything is alllllways so popular). Allurez, the ‘I Do’ industry’s internet family jeweler, has a way with these luminous stones, so we tapped their higher ups to learn what really makes these stones glow. 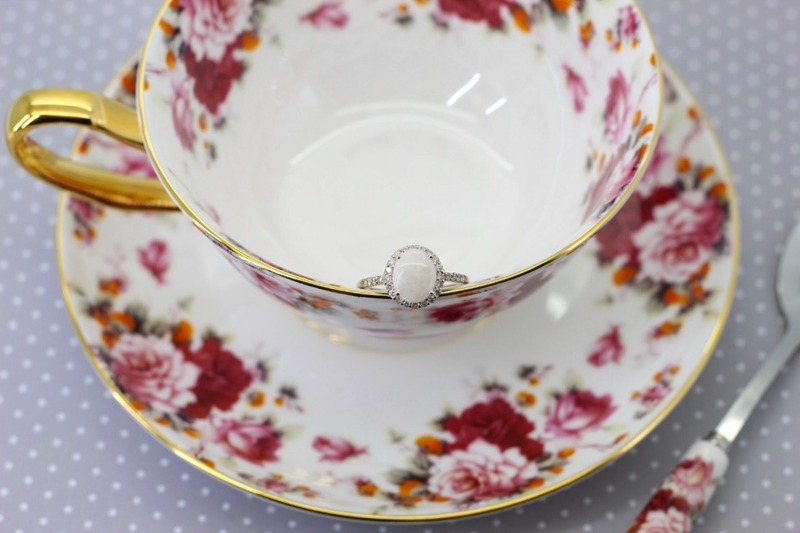 They sponsored this post to share some thoughts and give all the alternative brides out there a look at how good an opal e-ring can be. I’ll admit, up until a few years ago, I only ever looked at opal as my sister’s birthstone. I’ve been obsessed with this optically-hypnotic trend for a while now, though, and I don’t think I’ll quit anytime soon. Just look at how striking it looks on that finger. It’s so pretty! How fun are opals to look at? White, black, blue, fire iterations, they’re all vibrant AF. They can emit every color in the visible spectrum, and a lot of the time, you can glimpse multiple colors from a single stone, depending on how you move the ring and orient it towards light. It’s playful, and warming, and happy-mood-inducing - you really can’t help but feel bubbly when you’re wearing it. I’m actually getting good vibes just thinking about slipping an opal on my finger. I imagine this is what it has to feel like to be a unicorn, really. No two opals are alike, just like no two love stories are the same. And we dig that so much. It’s something you can get excited about telling people, because chances are, they haven’t given an opal engagement ring much thought. Now they might… Plus, with opal’s pearly luster and mysterious, multi-hued look, it can be paired with almost any kind of gold setting - rose, yellow or white - plays exceptionally well with accent diamonds, halos or pave diamond bands, and is so wearable. 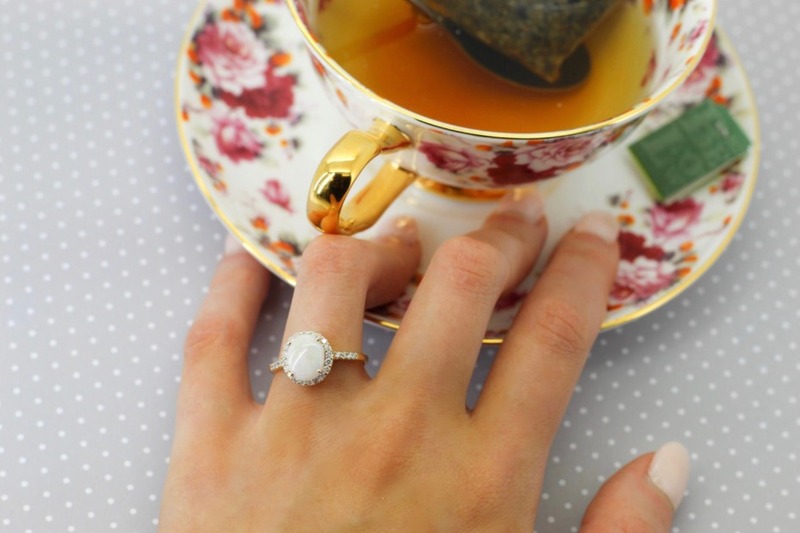 Yes, opal rings require a little more care to keep their glow going for years, but what relationship doesn’t call for regular maintenance, periodic cleansings, professional polishings here and there? It’s all worth the effort for something so precious and treasured to keep its sparkle. We partnered with Allurez to share all of their #gemstonegoals with you. As always, thank you for supporting our sponsors!